A new deal every day from Audible. Today’s deal ends 03/20/2018 @ 11:59PM PT. Set at the end of World War II, in a crumbling Bavarian castle that once played host to all of German high society, a powerful and propulsive story of three widows whose lives and fates become intertwined – an affecting, shocking, and ultimately redemptive novel from the author of the New York Times notable book The Hazards of Good Breeding. Written with the devastating emotional power of The Nightingale, Jessica Shattuck’s evocative and utterly enthralling novel offers a fresh perspective on one of the most tumultuous periods in history. 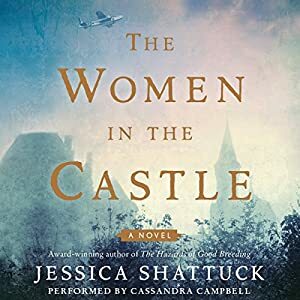 Combining piercing social insight and vivid historical atmosphere, The Women in the Castle is a dramatic yet nuanced portrait of war and its repercussions that explores what it means to survive, love, and ultimately forgive in the wake of unimaginable hardship.